Social media is such an incredible powerful tool. You can say the way I found Alex Johnson’s music was pure serendipity. One of my friends posted a video of her friends singing a song that I just happened to watch. After it was over I saw, in the ‘other videos’ section, Alex’s video and I had a gut instinct to watch it. I was completely blown away. It was pure talent. No synths, no auto tune, just him and his guitar. Just watch this 25 second clip of Alex Johnson signing his song “Birds and Bees” and you will know that true talent hasn’t yet faded away. alex johnson from toby Thomas on Vimeo. 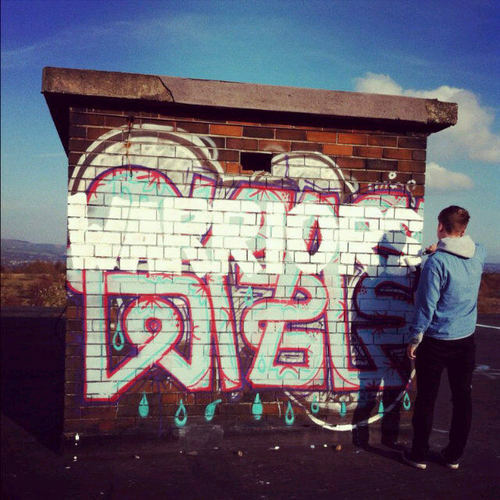 You can download his “Warriors EP” for free right here. How did you know you wanted to be a musician? My dad had a couple of guitars and was always playing Beatles and Bob Dylan songs that I used to sing a long with so learning guitar was a logical progression really! I used to go to a lot of rubbish gigs when I was about 14/15 but when I was 16 my Dad took me to see Damien Rice and I'd never seen anything like it. He did Cannonball completely acoustic without even a mic to about 20,000 people with everyone in complete silence so they could hear him. The power of a brilliant song! It was then really, I wanted that! How long have you been singing/playing music? I've been playing guitar since I was about 11 but I didn't start singing really until a friend of mine Charlotte made me. We were round at her house one time and I'd be playing guitar and she'd sing originally. She told me to start singing and we ended up doing a few songs and gigs together! Do you have new music coming out soon? The Warriors EP came out recently you can download that at noisetrade.com/alexjohnsonmusic thought I'd get a little plug in there. I'm going into the studio again in the next month to record a new EP, extremely excited for it! So no definite dates yet for anything tangible but there'll be something new out by the Summer. What’s your favorite song of yours? Why? Probably an old song of mine called Wednesday Night, we recorded it about 2 or 3 years ago now but I still like playing it live. It's got a lot of personal meaning behind it and those are the best songs for me. I like songs that evoke a lot of emotion, a sort of 3 minute window into the songwriters life at the time. It's a sad song but I like sad songs! What are the main inspirations behind your lyrics? It completely depends on the song. Someone once told me that a bad songwriter is someone that only writes songs after an emotional upheaval and I completely disagreed. All my best songs have been written after or about something that has happened to me or a friend of mine cos that's the best way to get a lot of feeling into a song for me. What bands/artists do you look to for inspiration? Obviously seeing as I'm a singer/songwriter a lot of my music is inspired by artists like Damien Rice, Ryan Adams, Bob Dylan of course. I was lucky enough to go and see Bob Dylan and Leonard Cohen when I was about 17 they inspired me a lot, writing songs for 50 years or more and they're all brilliant. 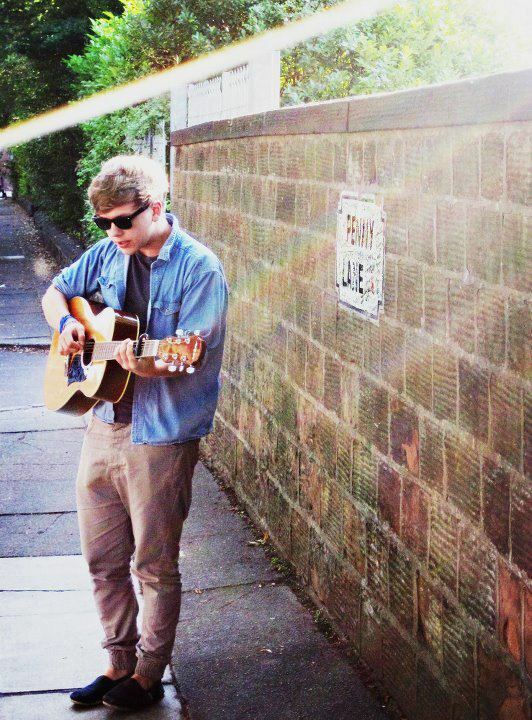 More recently I've been to see Ed Sheeran and Ben Howard who've become massive in the last year or so which has been great for 'acoustic' music, Stephen Fretwell and Bon Iver too massively, these artists are the kind that directly influence the songs I write but I honestly listen to everything and anything, apart from dubstep that's not music. When’s the video for “Birds and Bees’’ going to be released? I'm doing the road trip to a place called Bournemouth at the start of March to film it, it'll take about 4 hours to get there but I'm sure it'll be worth it! Obviously there's no release date yet I'll be posting it everywhere when I know though so watch out for it, it'll be the first time I've done a proper video so I can't wait. Have you ever tried out for any of the UK’s talent shows? No never! I always said I wouldn't have a clue what to sing in like Abba or Disco week, I don't think you're allowed to take your guitar to the audition either and I hate singing without my guitar I don't know what to do with my hands! Lastly, who do you think changed the music industry? Why? Good question! Obviously the Beatles are the classic answer nobody had ever seen like it and I don't think we'll ever see anything to rival 'Beatlemania' again. Recently I like that bands have been experimenting with how to release their singles and albums, I love what Radiohead did with 'In Rainbows', people aren't buying music like they used to just because it's so easily available so doing something like that was really clever.